NOTE: This wasn't mentioned at the meeting, but just in case you didn't get the email from MQG (National) - Andrew (our outgoing rep) is hosting a casual roundtable video chat to introduce our new Region 3 Representative, Heather Kinion, and answer any questions you may have. Please join Andrew on December 11, 2017 at 7pm CST. You can sign up here. Made by Rae class - January 13, 2018. Cost: $65 for members. There is one spot available! Charity quilts - Brenda brought in leftover samples from GLAMP sponsor Maywood Studios. The "Pods" are pre-cuts in kits with a pattern and several pods can be used to make quilts the sizes we need for our charities. Reminder that we have batt and backings to use as well. QuiltCon show entries due November 30th. Good luck to everyone entering! Our Charity quilt is done except for a hanging sleeve. After the show we will be donating it to Food Gatherers for them to auction off. MQG Book - the latest MQG book has quilts from three of our members (Dorie, Rossie, Jenna)! We can't wait to see it and think we need a trunk show. MQG's quilt of the month is "Defrag" - let us know if you didn't get the email with the pattern link - you will need to log in to download. 4 bias strips @ 3" x 14"
She recommends the use of Wonder Clips and tweezers! Apologies in the delay in posting guild members! Amanda Jean class - trunk show will be Friday October 27 - all are invited (free to members, $10 non-members). Maggie is coordinating lunch with Amanda in Ypsilanti on Sunday. MQG Charity quilt - ready for the binder. Congrats to everyone who worked on this quilt - it looks awesome! MQG mini-swap - anyone who wants to participate (you do not need to be going to QuiltCon), today is the last day. This is a "known partner" swap. Our website is undergoing changes - we have a new URL (www.a2mqg.org) and Kathy is continuing on working on other enhancements. NOTE: The old URL will redirect to the new if you have it bookmarked. Made by Rae class - scheduled for Saturday, January 13 at NEW. Will be the Ruby pattern, 6 hour class (9:00am - 4:00pm) for $65 (members). Price includes pattern, muslin, and tracing paper. Joe Cunningham class is set for April. More details to follow. Guild will be coordinating another class with DAM with Annabelle Wrigley near the end of the year. Another class in the works is By Annie. More details to follow. Sewing Retreat 2018 - set for March 2-4 at Howell nature center. Will be in a different building this time. We are looking for at least 15 attendees but Amy S notes that there are less beds so it is probable that some people will be needing to take the top bunk. Meals will be catered. There are kits available. Remember that you don't need to complete the entire kit, you can work on just a block or more. Several members made pillowcases to donate to Ozone House. Jackie McGregor provided prizes. Baby quilts - we originally thought they would be donated to Ronald McDonald house but we found out that wasn't local so the quilts will go to Mott. Dues are due. $42.00 by PayPal. Discount if you pay by check $40. Elections 2018 - nominations now, Amy D will not be running again for president. Maggie has agreed to run for that position which leaves open VP Programs. We also will be setting up a Programs Committee to assist (Laura volunteered to be on the committee). Anyone else interested in ANY position should contact the board. Library - Kim brought several books highlighting Xmas ornaments to prepare for next month's swap. Thermofax printing - Rossie gave a demo on how to create a printed label. She orders a new thermofax each year with the date (year) on it. Costs about $10 on Etsy. She has found it works with any fabric paint. Use a black and white photoshop image that is not too detailed, foam brush (trimming tip off works best), hold on screen, PUSH the paint across the screen, air dry, press with dry iron before you wash the quilt to set the paint, clean the screen with soap and water. In honor of Halloween, quilting horror stories were shared. Eeek! Apologies for the lateness in getting this out! Crazy Mom Class signups are starting this evening. Cost will be $35 for members, $50 for non-members. Date: Trunk Show will be Friday, October 27 and we are sharing costs with DAM; our class will be Sunday October 29. We have not yet secured a location for the Sunday class. MQG Charity Quilts - Dorie is chairing and she still has open spots, primarily she still needs someone to agree to quilt it. Caravan to AQS - Maggie is coordinating a carpool/caravan to AQS on Saturday, August 19. Let her know if you are interested. She plans on leaving A2 at 7am, stopping at Fields Fabrics and then heading over to DeVos at 11am. The cost to the show is $14 unless you are already an AQS member. Sign ups were held at the meeting. August 6 will be a charity quilt sew-in for anyone who is interested (you do not need to do the charity quilts, it is totally voluntary). September 10 will be focused on the MQG charity quilt. Reminder to members that the board will no longer coordinate food at the sew-ins, but you must still sign up on the form that Kathy sends out. Maggie is looking into booking Joe Cunningham (Joe the Quilter). He is from San Francisco but has roots in the Flint area so is looking forward to coming back to Michigan to teach. We are considering February 18th (since Feb. 25 conflicts with QuiltCon). Maggie is also investigating a garment sewing class with Rae. MQG - reminder of webinar after this meeting at 9pm. Charity blocks - group decided to continue last months' bright and bold theme. The question came up about several quilts that were placed in the round robin bin at Pink Castle. The Board wanted to be sure they really were meant to be donated/quilted. Vicky held a just-for-fun raffle. Thanks Vicky!!! Swap: was a bring a book, take a book. Leftovers will go to the Library. Next month swap will be a challenge - finish a UFO. September will be Secret Stalker. Emily will send out a survey and assignments before next meeting. Sew-Ins - next will be Sunday July 16 and August 6th. Form has been created. Board has decided not to do the lunch coordination so there will be no payment needed, but members must sign up so we know who is planning on being there in case of cancellations or other building issues. Crazy Mom Quilt Class October 29 - images posted on FB. Attendees will need to purchase her book. Tentative costs are $55 which would include the book ($35 if you already have it or wish to purchase it on your own). Location, final cost and sign-ups coming in an email soon. The Board reported on the decision for the MQG membership. About 70% of the members voting want to stay with the National Guild so we are sticking with that decision and hopefully move forward in a positive way. It was recommended that members take a more active role in National if they so choose. Charity Quilt MQG - Dorie presented her idea for the quilt (Single Irish Chain on Point) and mentioned that she will be putting out a sign up sheet shortly. The Board has decided to chip in for the batting and fabric. the quilt top put together from last month was shown. Jen B offered to quilt it. Rossie also showed off the churn dash quilt that she finished. Blocks for this month were shown - we collected 12 red/white/blue/star blocks. It was decided for next month to have bold colors and black, pattern to be strips (either do a strip quilt or put blocks together with strips) in an attempt to make a twin size that might appeal to teens (this may continue for a few months since that is a larger attempt). We need more quilt labels. It was decided rather than make Brenda embroider more that Amy S will order labels from Spoonflower. September or October sew-in will include an option for attendees to work on either the MQG Charity quilt or other charity blocks. There were two new members present. 8 squares at a time > 2 x (Finished HST + 1 inch). Recommended book: "Patchwork Essentials: The Half-Square Triangle" by Jeni Baker. Thank you Amy S for your great note-taking! Sew ins were discussed. We have had a drop off in attendance, the membership just seems busy, no one suggested changes of format. Next two sew ins are June 3, and July 16. The class with Kathy Schmidt was discussed, and attendees were pleased with what they learned. The quilt that was going to Food Gatherers for their summer auction has been dropped off. Programs: Amanda Jean of Crazy Mom Quilts is doing a class and a joint trunk show in late October for our guild and for DAMQG. The trunk show will be at Schoolcraft college in Livonia. The class location is TBD,but the date is Sunday, October 29. More info will be sent out by Maggie soon. The AQS show in Grand Rapids will be August 16-19, the guild is thinking of organizing a few caravans/carpools to it on the Saturday, with a side jaunt to Fields Fabrics. An email will be sent to find participants. 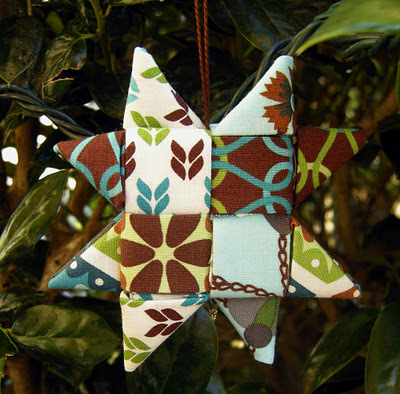 Skill share - some discussion of English Paper Piecing, followed by some discussion of paper choice for Foundation Paper Piecing. Vellum is favored by some. The Modern Quilt Guild, stay or go, email has been sent out. Please vote! MQG Charity Quilt for QuiltCon. Dorie agreed to organize/design it, provided a good number of people would sign up to make 1-2 blocks. Many hands were raised to say they would, so she will update us on that soon. Charity blocks, a good number of 12.5" churn dashes were turned in, enough for 2 small quilts. They were split into 2 groups to be turned into tops. For next month, bring in 12.5" (unfinished) Red, White, and Blue blocks, stars were suggested. Inspiration: Karen brought in a beautiful mini quilt that she received in a swap. Round Robin: We could use a few more participants. It would be a good way to work on a communal charity quilt! Put together some fabric in a bag, and put yourself in! Challenge: Many cool curved pieces were shown. Swaps: Next month is the mini mini swap! Make a finished quilt that finishes at 8" square or less. Amy S. started a hashtag on instagram: #a2mqgminiminiswap if you want to add your teaser pictures to it. It was Anna's last meeting before she heads back to Washington state, and we will miss her! Anyone wanting to make blocks for her memory quilt should hook up with her via the Facebook group for details. Quilt Show went very well. Debbie says all quilts are back with their owners. Charity quilts: a discussion was held on what we could do to encourage creation of more charity quilts. The idea was brought up that we could insert a charity quilt into the Round Robin. There seemed to be interest in this but would also be nice if we had more Round Robin participants. The membership decided that it would be good to pick a block and suggest that members make one or more for the next meeting. The group decided on a pastel CHURN DASH. It should be a 12.5" block (12" finished), it can be wonky or traditional. If you create mini-churn dashes you should make enough to complete a 12.5" block. Members can also make more than one of course and even a full top (either 3x4 blocks or twin size). Retreat at Creative Passions: there are still a few openings, so far there is only one person interested in the Thursday night attendance so we probably won't offer that option. Amy has sent out a waiver that the retreat needs filled out. Please check your email and send that back in if you are attending. MQG Town Hall: Amy D presented a report on the town hall which was held April 12. She noted that they are looking for people interested in serving on a QuiltCon Jurying and Judging Task Force. She also presented the block of the month (layered triangles with transparency). MQG Membership: as noted a few months ago the Board is revisiting the decision whether to stay or opt out of MQG membership. There will most likely be a poll sent out to the group and the Board is strongly encouraging people to take a side. It was very hard for the board to make a decision when there was not a clear mandate from the membership. Skill School: Kathy presented how to avoid wonky borders. Member share: what inspired you? Swaps: Several members participated in a swap for hot pads/potholders. Next month's swap is a challenge: Show us your curves! The following month if you want to get a jump on it is "Mini-Mini" (this is a very small, 8" or smaller quilt and will be a yankee swap). Sorry for the late post members. Life got away from me. 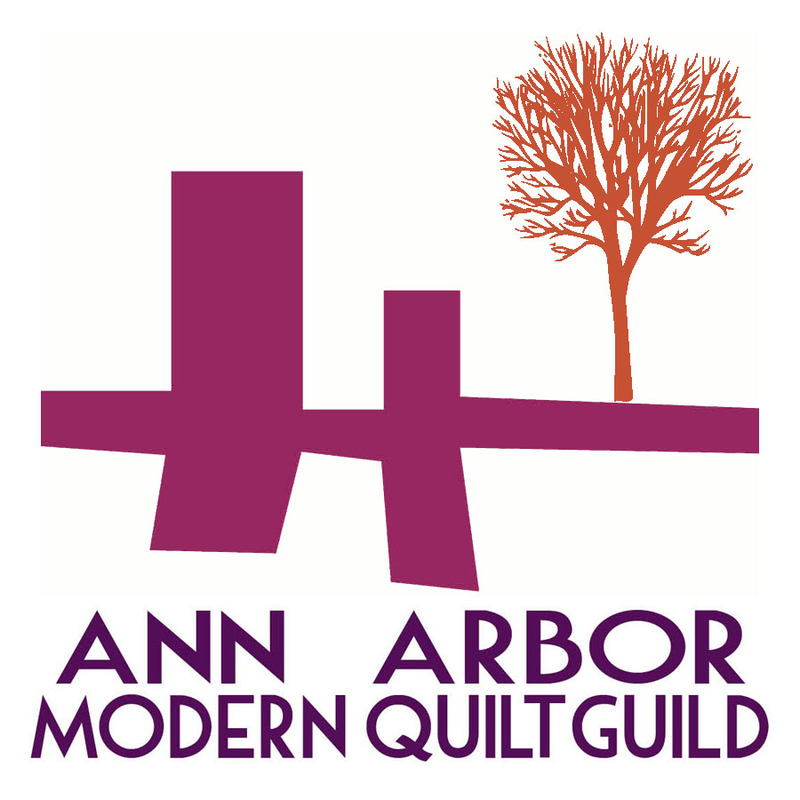 Quilt Show in Ypsi over on Saturday, April 1; Quilts should be picked up on Sunday, April 2. Maggie is coordinating with DAM to host Crazy Mom Quilts on October 27 and 29. Unfortunately NEW is not available those days so the Board is looking into other venues. A suggestion was made to look into using the Quilt Patch in Tecumseh. Amy D attended the Leadership meeting at QuiltCon. They did not speak about the derivative quilt post, did talk about fundraising efforts and they are looking for people who are interested in writing articles (they will pay for them). Amy noted that the quilts in the show were very cool. Ideas were discussed for potential future skill schools: spray basting, quilt labels, multiple ways to do something (e.g., different approaches for a technique); wavy borders (Kathy offered to present this next month). Members are encouraged to contact Maggie if you have an idea or would like to present. 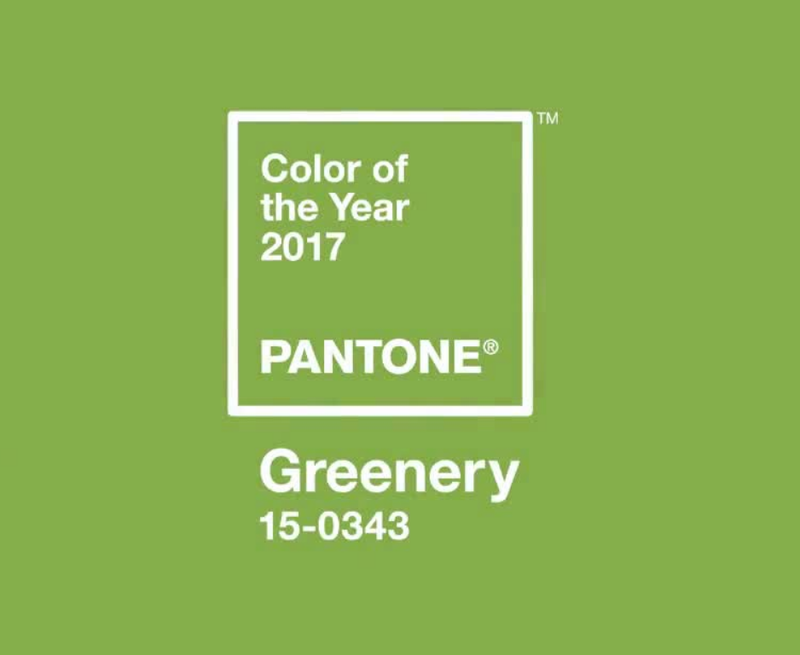 Swap/Challenge: This month was a challenge to make something using the Pantone color of the year (green). Kim Ulrich won the drawing. Next month the swap will be a hot pad/potholder yankee swap. The purpose of the derivative post was directed towards being an instruction for quilters who were copying art works directly with their quilts for QuiltCon - not meant to be a statement on quilting inspiration, etc. And she said we could email her anytime with concerns. Someone suggested it would be nice to have music. Charity/Swap/Challenge - this month Emily coordinated creating blocks for the Quilts for Quebec project (houses). 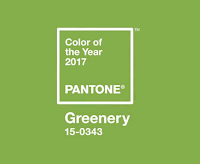 March challenge will be to create something using the Pantone color of the year (Greenery). Emily says there may be a prize! Member spotlight - the group discussed whether we wanted to make changes to this. It was a concenus to keep it with 5-6 people and one inspiration. Tonight we had a discussion on how people organize their quilting rooms, fabric, supplies. Charity quilts - we discussed that for this new year we are adding Ozone House. The size requirement is a little different as they support teens so would like twin size quilts. We also can continue to make quilts for the V.A. and Mott - those are 3'x4' in size. Email sent from the Board to MQG seemed to have been received favorably. They would like to teleconference with the board to hear and discuss our concerns. Members should let Amy D know if there things she should bring up to them either at that meeting or when she goes to the leadership meeting at QuiltCon. Quilt Show preparations are in progress. Everyone who submitted a quilt has been accepted. Quilts will be hung February 26 from 12:00-2:00. Debbie is still trying to get information on how quilts will be hung and hanging sleeve requirements. She will email participants with details. Debbie will be at QuiltCon so there will need to be assistance from other guild members to coordinate. The Show is March 3 (Friday) through April 1. There will be a reception we will need to cover and provide refreshments for March 3 from 5-7pm (Ypsilanti's First Friday event). The gallery is open Thurs/Fri 3-8pm and Sun 1:30-4. We will need volunteers to staff. Retreat at Hankerd Inn was last weekend. There were 16 attendees. Feedback was not as positive as has been previously so we may want to reconsider using this venue (no ability for someone to opt out of the food with lower payment, facility did not seem as clean as in the past, there were at least 2 reports of vermin (squirrels? or other?) in the ceilings. the Board announced that we have altered our previous decision to sell the 3 quilts in question on eBay. Instead we will be donating 2 for use to Ozone House and 1 to Grilling for the Hungry to auction. These are the same recipients as we'd decided before, just getting the guild out of the process of having to sell them. A recommendation was made to potentially show these at the Quilt Show. Debbie will see if there is space. dates have been set for the year. We tried to set up about 1/2 of them on Saturdays and 1/2 on Sundays although we weren't able to get an even flip-flop per month based on availability. Dates are: Feb 19, Mar 12, Apr 8, May 6, Jun 3, Jul 16, Aug 6, Sep 10, Oct 7, Nov 4, Dec 3. Note that any of these dates may be re-purposed for teaching events. Based on majority of members attending, the Board has decided to keep with charging $15 to cover food. A reminder was given to the guild that were we to pay the rent on the space, the cost would be $90-125 so members should consider that a benefit of their membership. Small thank you flowers were given to last year's guild chairs and departing officer (Karen [charity], Kim [library], Emily [swaps], Amanda [retreats], Giedra [programs]. Kathy will be posting suggested revisions for the membership to review and vote on. Amy S. presented a Treasurer's report to the membership. It was noted that we submitted a membership of 55 to MQG for annual dues. Since Maggie was elected VP, we asked for a volunteer to take this position and Jackie MacGregor volunteered.